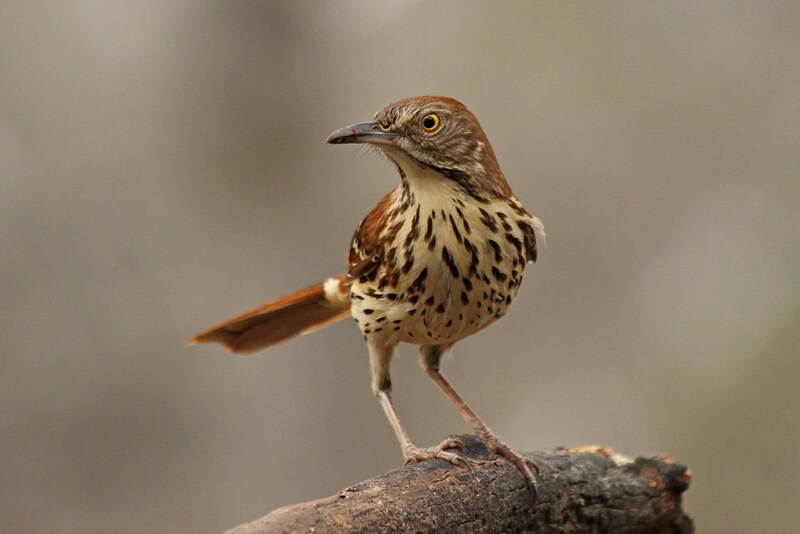 I have heard of one having a bow-legged appearance, but this Brown Thrasher landed in a rather bird-legged stance. He must have realized that this put quite a hurting on his intimidation factor, as he quickly remedied his position and adopted a more threatening stance. 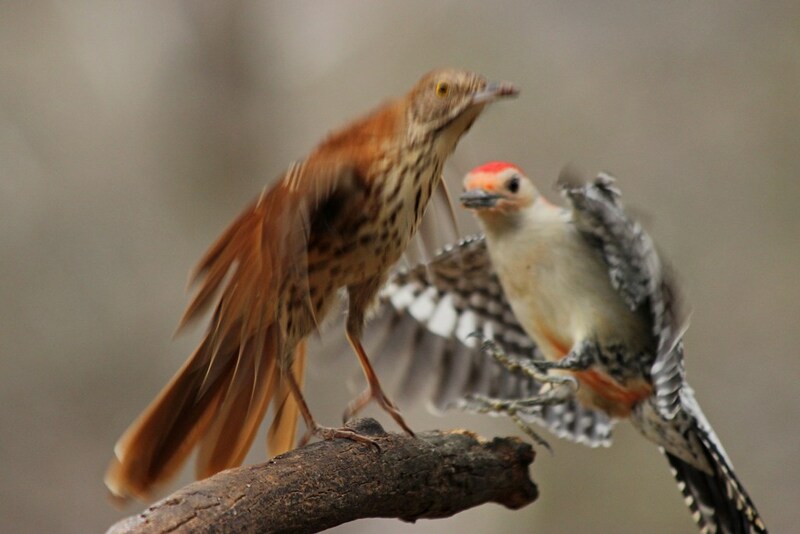 …and his place was stolen by a bird of slightly longer beak. 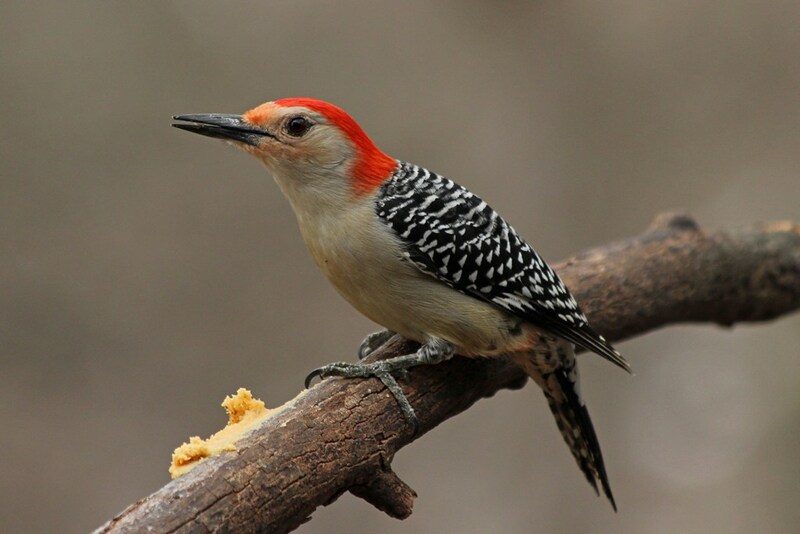 The Red-bellied Woodpecker really is the King of the branch. 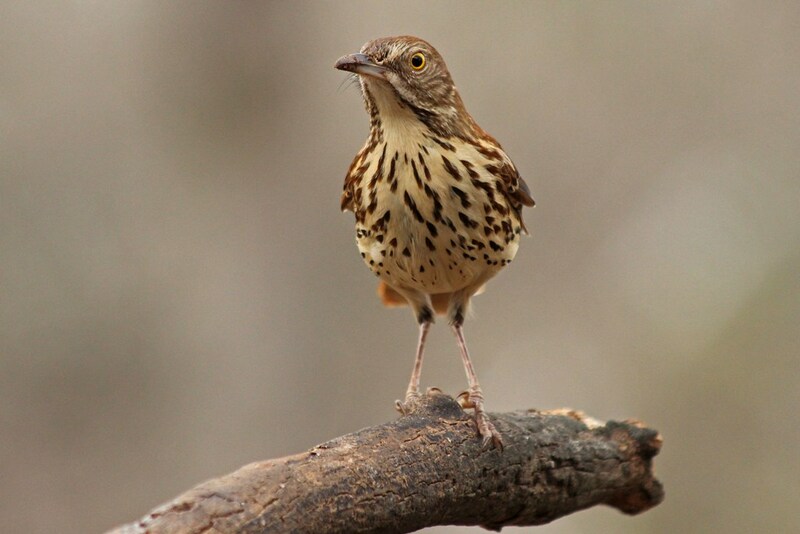 This entry was posted in Backyard Birds and tagged bird feeding, bird photography, Brown Thrasher, hobbies, nature photography, photography, woodpeckers, writing. Bookmark the permalink. Great pics! Especially the first one. 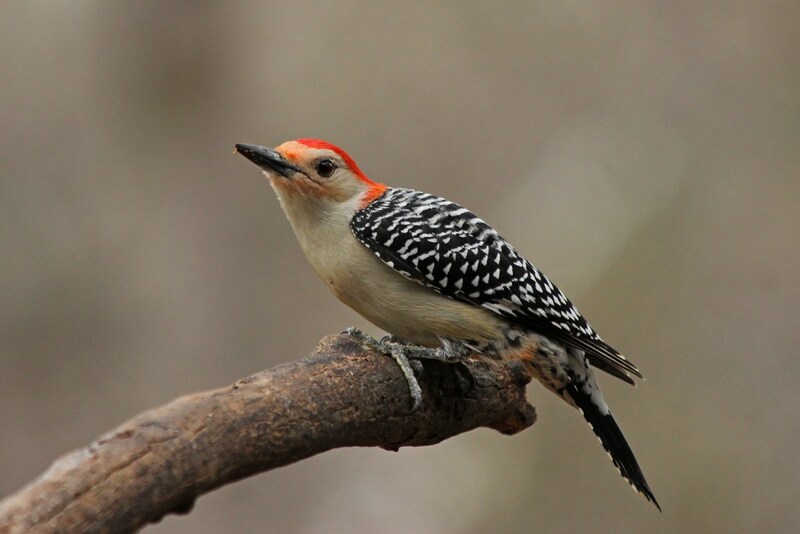 And I’d be intimidated by that woodpecker beak too! 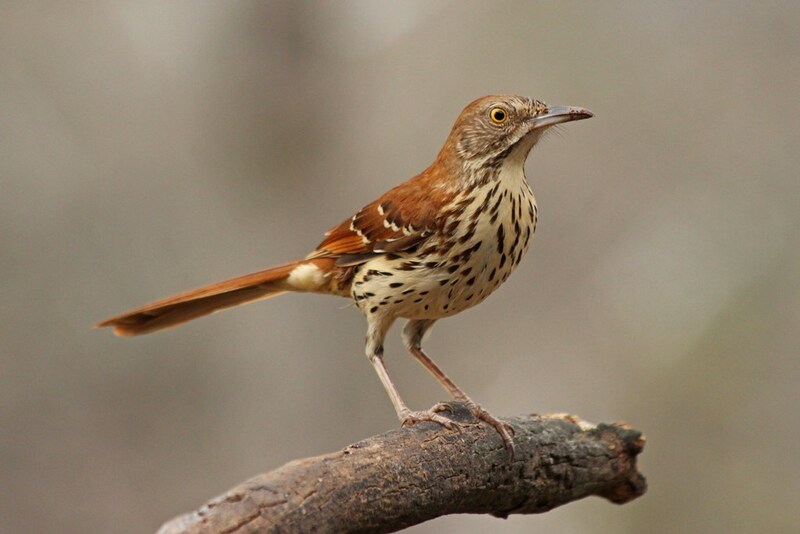 A handsome bird too. Both of them are! What stunningly handsome birds Kathy, great shots!